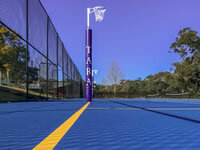 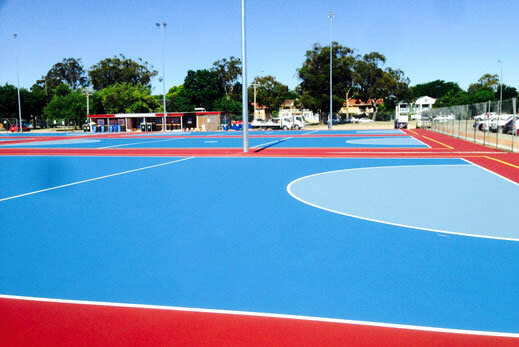 All-weather netball and basketball courts look amazing in the vibrant range of colour and texture options. 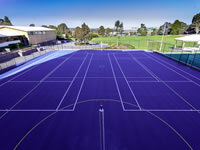 Safety in sports is paramount. 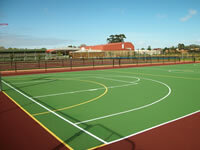 Our range of acrylic sports surfacing systems are slip resistant for injury reduction. 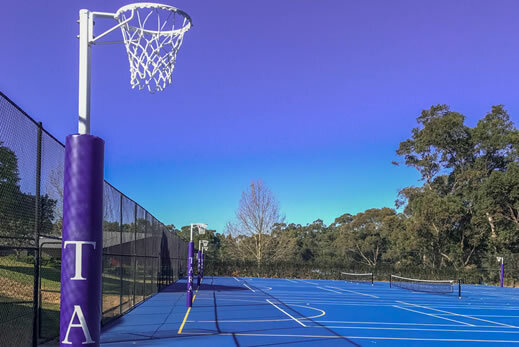 Available in a huge range of UV stable colours that are designed for durability against demanding sports traffic, glare resistant and re-coatable. 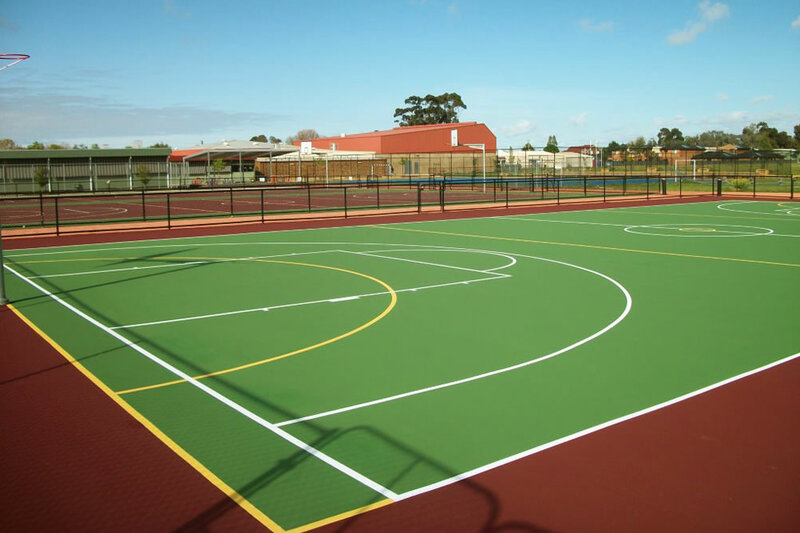 Our range of acrylic surfaces can be customised to achieve your desired performance, playability and appearance. 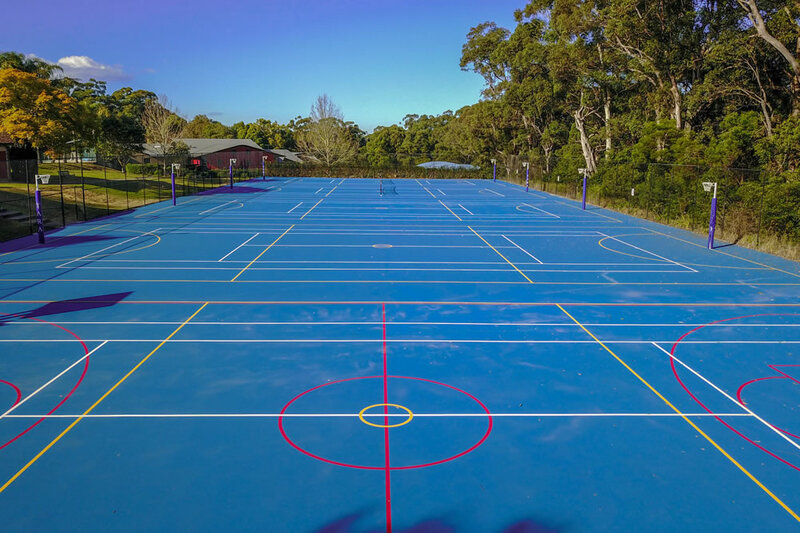 Choose from hard court or cushion court systems that feature the latest in court technology to provide superior and consistent surface pace and excellent force reduction results. 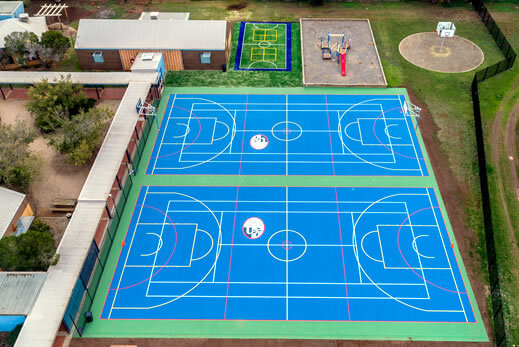 Manufactured in Australia, acrylic sports systems are environmentally friendly with no nasties like heavy metals or solvents. 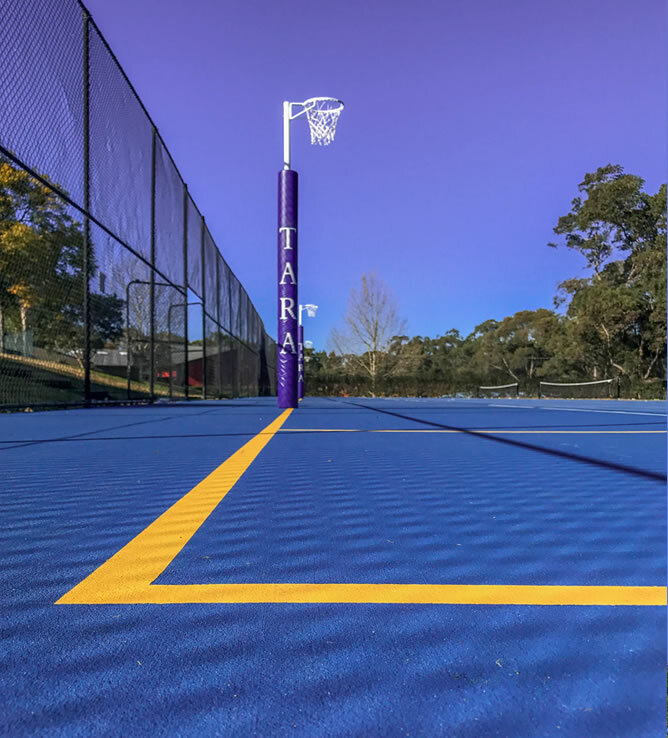 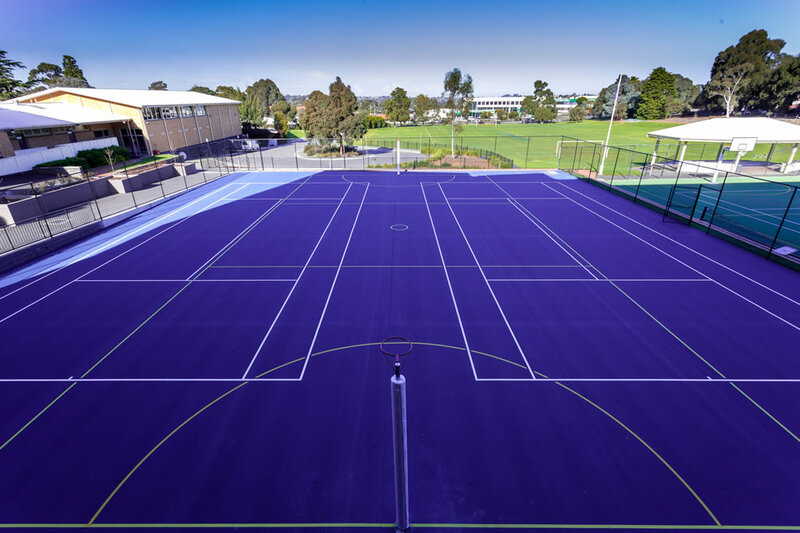 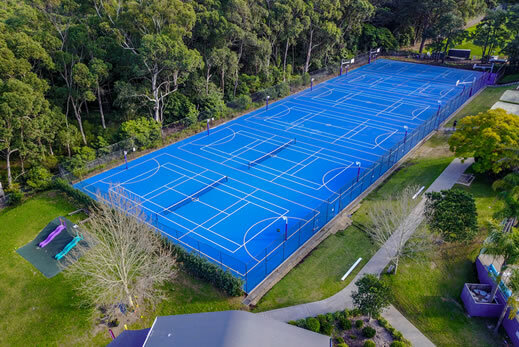 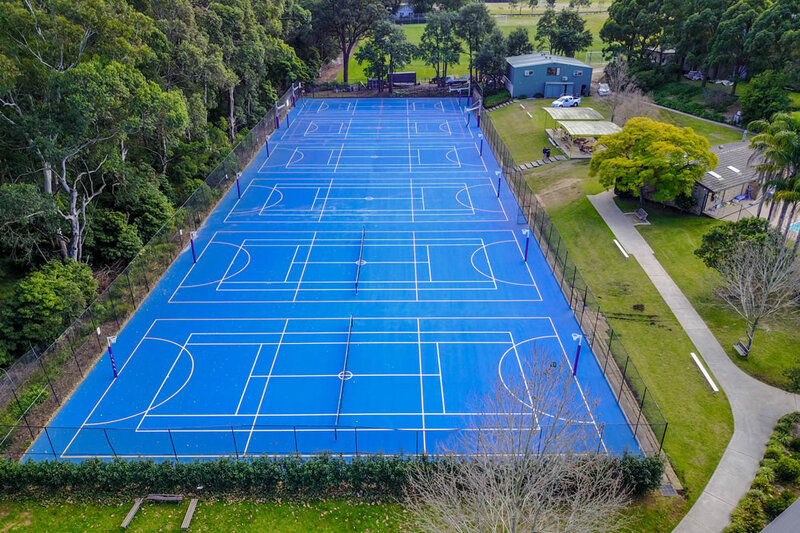 Easily applied to asphalt or concrete netball courts or to upgrade existing acrylic court surfaces, once installed, the textured uniform surface remains in excellent condition for many years. 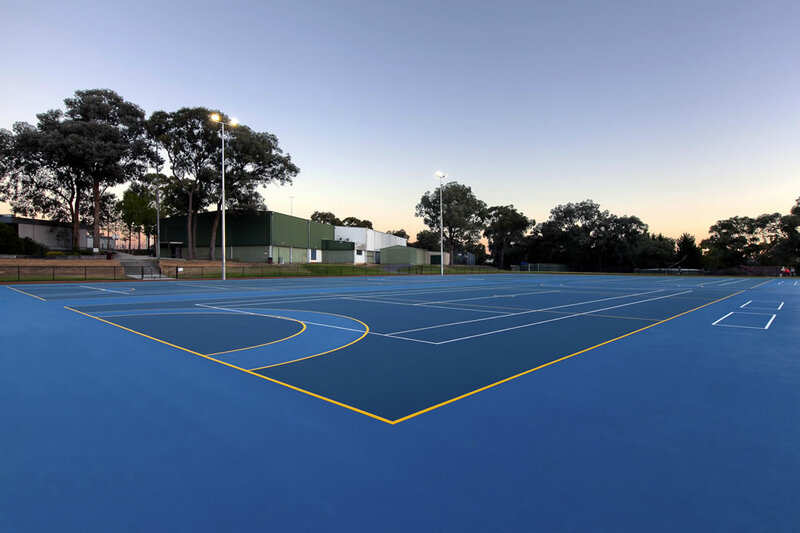 Applied with a squeegee, it is free of the joins and weak spots that make other surfaces vulnerable to weather and deterioration. 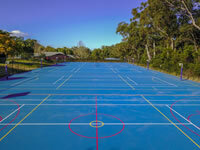 Easy and economical to maintain, our acrylic netball surface dries quickly after rain. 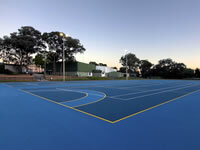 It breathes without losing its bond with the original surface beneath and prevents this base from deterioration. 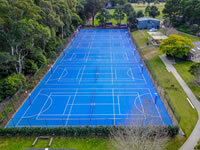 Contact us for a customised acrylic hardcourt surface solution.